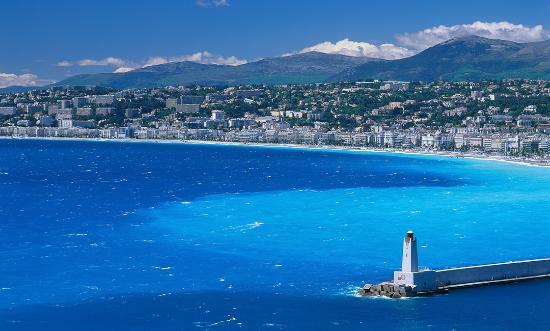 The deep blue waters of the Cote d’Azur are the dramatic backdrop for elegant Nice. Breathe in the fresh Mediterranean air as you stroll the waterfront promenade, or get an eagle eye of the whole city from atop Castle Hill. The pedestrians-only Place Rossetti is the heart of the city, with a grand fountain, vibrant buildings, and the beautiful Sainte-Réparate cathedral giving it a provincial French feel.